It was in the attic of an old English farmhouse, on a lovely autumn evening in September 1984, that this book had its beginnings. Two years earlier Caroline Kennedy, doing some research for a television film, had arrived at this same house to interview the owner, Pelham Pound. 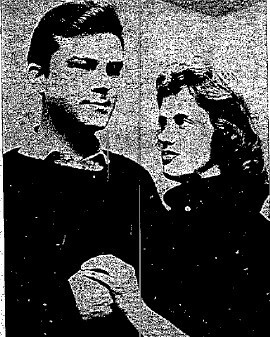 As they talked she found out he was an old friend of her late brother-in-law, Dominick Elwes. Later in the day the discussion turned to Elwes’s friendship with Dr Stephen Ward, the society osteopath, who had committed suicide at the height of the Profumo scandal in 1963. Elwes, her host said, had stood bail for Stephen Ward, had worked with him on a proposed television programme about his life and had produced a film entitled, The Christine Keeler Story. 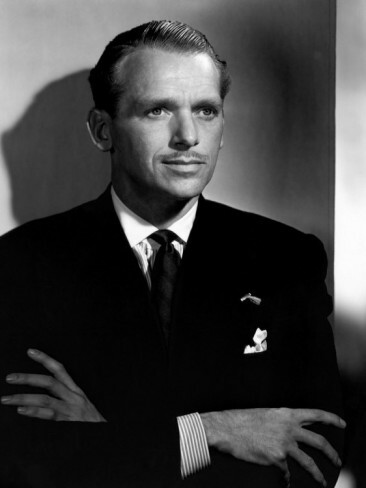 In a trunk in his attic, Pound explained, he had tape recordings and scripts that Elwes had given him years ago. Would she be interested in taking a look some time? Caroline Kennedy was intrigued. Like nearly everyone else she remembered the Profumo scandal but only faintly remembered Ward. Caroline Kennedy listened to Ward with absolute fascination. 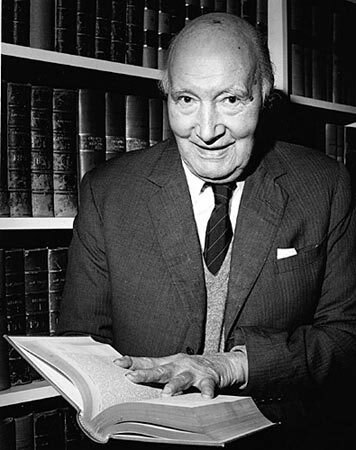 ‘Only a week earlier I’d heard Lord Denning on TV saying that Ward was “the most evil man” he had ever met. Ward hardly sounded like an evil man to me. He was rational, intelligent, persuasive. I knew as little about Ward as the next person but I began to wonder. Had we got him wrong? I decided to try to find out.’ In many ways it was an ideal time to take another look at Ward and the Profumo affair. Enough time had passed for the passions and divisions it had aroused to quieten. Many of those involved were still alive and perhaps ready now to reveal matters that at the time had been concealed. Until I joined her in the spring of I985, Caroline Kennedy had worked alone, becoming more and more involved in Ward’s life, often travelling hundreds of miles in a day in the hope of finding one elusive fragment, or to check one significant anecdote. But the information she had gathered about Ward’s relationship with the British Security Service, M15, made her realise that she would need the help of someone more experienced in this field. My one doubt about the project – that it would be unfair to turn the spotlight on Profumo yet again – yielded to her argument that the story would concentrate on Ward, not Profumo. Stephen Ward in the US. 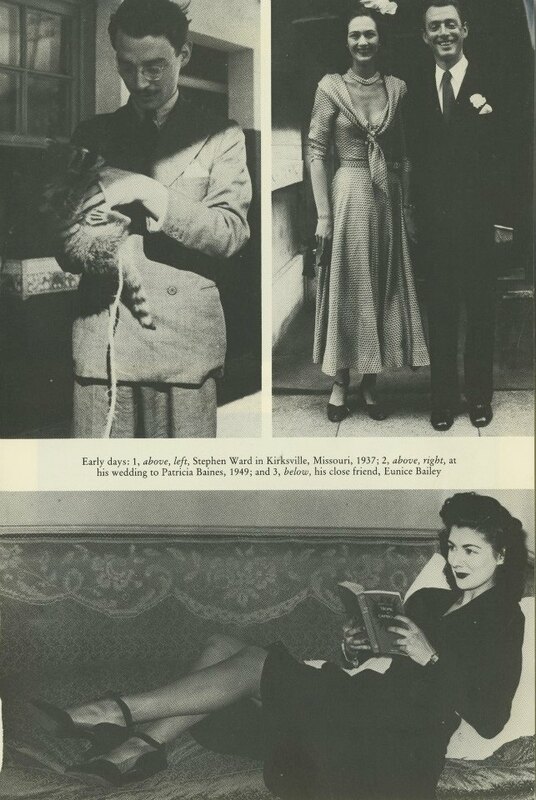 Stephen Ward at his wedding with model Patricia Baines. Below, model Eunice Bailey, Stephen Ward’s girlfriend. We were determined to write the definitive book on the subject and our quest for the truth took us all over Britain, to Europe and to the United States. In the end, the raw research broke down into four major areas: Ward’s own tape-recorded words; interviews with some 80 of his friends and enemies; a folio of FBI documents obtained under the American Freedom of Information Act; and our own interpretation and analysis of all this new information. Ward’s tape recordings were more extensive than we at first realised. In them he spoke frankly of his early life, his first sexual experiences, his student days in the United States, his wartime service in Britain and India, his early struggles in a London just coming out of its post-war gloom, his ambition, and his steady climb to success both as an osteopath and as an artist. We get his story of his recruitment into M15, his version of his relationship with Christine Keeler and Mandy Rice-Davies and his account of his close friendship with Lord Astor. Finally we hear Ward’s devastatingly accurate assessment of why he was framed. The interviews proved the most difficult part of the research. At first those people who had known Ward were wary. We had to assure them that we had no preconceived view and were determined to produce a rounded picture of an obviously very complex character. Slowly doors opened. In the end we knew the versions of every major participant in the drama who is still alive (except Profumo). Many had never spoken before. Ward’s friends and enemies, the latter including Lord Denning and Michael Eddowes, Ward’s legal team, FBI informers, the CIA officer in charge of the case in London, nearly every member of the Astor family, Douglas Fairbanks Jnr, various MPs involved in the affair, and, most important, those members of the police team handling the Ward case, agreed to tell their stories. Most spoke directly to us. One or two, for personal reasons, preferred to talk through intermediaries. Two policemen in particular, conscience-stricken over what had happened, spoke for the first time on record of what the police were told to do, how they did it, and how they felt when Ward killed himself. M15 officers, now retired, revealed exactly how the service recruited Ward, what it wanted him to do, how he did it, and how it was decided to dump him when the service’s links with him threatened to become too embarrassing. One officer says that M15 should have revealed Ward’s role – ‘if we had he might be alive today’ – but it was decided to cover up. An American who had close links at that time with the United States Embassy held back a vital piece of information from us until he had read the first draft of the manuscript. 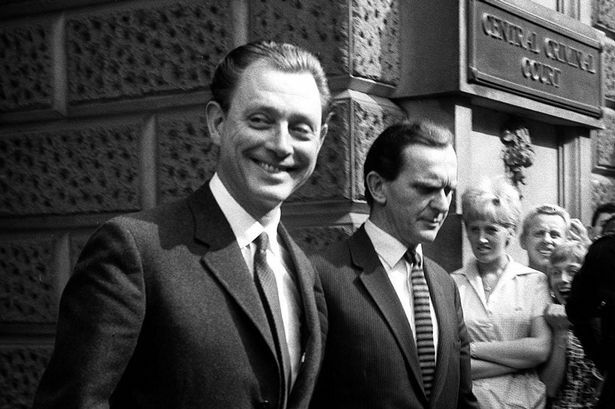 Then he gave evidence that the Prime Minister, Harold Macmillan, had been told of Profumo’s involvement with Christine Keeler two months before Profumo made his statement to the House of Commons denying any impropriety. This gave the political part of the affair an entirely new significance. It will be impossible for anyone ever to duplicate this research because several of the major characters have since died, and others, for various reasons, have retreated into silence again. Sir David Tudor-Price, who as a junior barrister was the defence number two in the Ward trial, braved the Lord Chancellor’s ire by agreeing to an on-the-record interview in which he was highly critical of the way the legal establishment had handled the case. He died suddenly only a few months after his elevation to the High Court. Although we knew that we risked an action against us for contempt of court, we were able to locate and interview one of the Ward jurors who told us, on the promise of anonymity, what had gone on in the jury room. He revealed why the jury had decided to convict Ward, even though the jurors were very impressed by him. We found and interviewed a senior civil servant who attended a meeting of Ward’s friends at which it was decided that no one would give evidence on Ward’s behalf. We persuaded Astor’s brother, David, to tell us why Astor himself had decided to abandon Ward. Because a lot of people were now prepared to talk, we were able to identify some of those participants who had mysteriously escaped publicity at the trial. 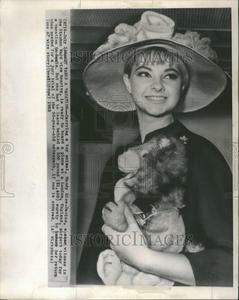 Mandy Rice-Davies’s lover, the ‘Indian doctor’, who was not even called as a witness, turns out to have been Dr Emil Savundra, later to be notorious because of the Fire Auto and Marine insurance case which cost Britain’s motorists hundreds of thousands of pounds. 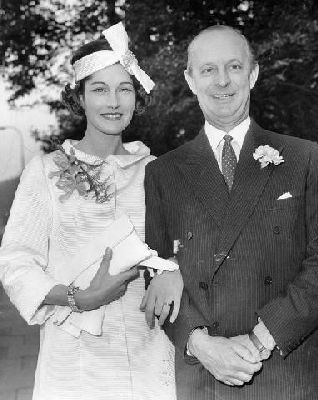 Christine’s lover, ‘Charles’, also avoided the spotlight because Christine swore on oath that she could not remember his surname. We discovered that he was the millionaire businessman Charles Clore. The role of Dr Teddy Sugden, the well-known society abortionist of the period, took some unravelling but we eventually established his relationship with Christine Keeler and Stephen Ward. The part that the famous Murray’s Club, with its beautiful ‘showgirls’, played in the affair puzzled us until some of the club’s former employees and some of its distinguished former members explained it all. After many hours in the FBI library in Washington, we finally obtained an FBI secret file. This consisted of about 800 heavily censored pages headed ‘Profumo-Keeler, Russian Intelligence’ and, later, ‘Operation Bowtie’. 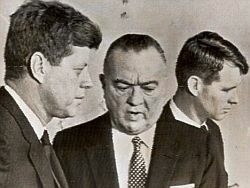 This material enabled us to learn the reason for the panic in the United States over the Profumo affair, to explain why the head of the FBI, J. Edgar Hoover, was so obsessed with it, and why the Kennedy family, particularly Attorney-General Robert Kennedy, was so worried. New information about the way Ward’s trial was conducted and new interpretation of the part played by Lord Justice Parker and the Court of Criminal Appeal made it crystal clear that the British legal establishment did everything in its power to make certain that Ward would be convicted. This is a serious charge to make, so to give it weight we interviewed some of the leading jurists of the period who gave us, for the first time, their opinion of what was done to Ward. One, a High Court Judge, was unable to talk about the case, even so many years later, without bitterness and anger, while Lord Goodman had no hesitation in describing Ward as ‘the historic victim of an historic injustice’, likening him to ‘a British Dreyfus’. When we got down to interpreting the research material, the motives of the major characters began to emerge with frightening clarity. We learnt why Labour MP George Wigg was out to get Profumo; why John Lewis, another Labour MP, was determined to ruin Ward; why the police set out to frame Lucky Gordon; why Christine Keeler and Mandy Rice-Davies told the stories they did; and why the legal establishment put its weight behind the move to send Ward away for a long time. Capt. 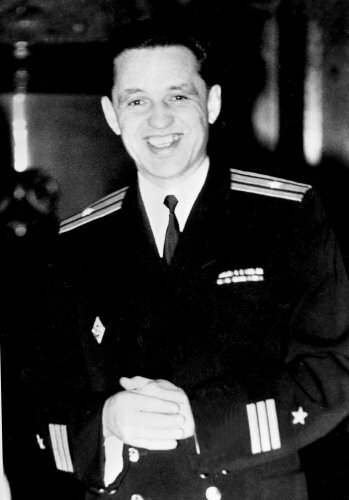 Yevgeny “Eugene” Ivanov, Asst. Naval Attache at the Russian Embassy in London. We were able to see what part Ward and the Russian GRU officer, Yevgeny “Eugene” Ivanov, played during the Cuban missile crisis when the super powers took the world to the brink of atomic war. What at the time was considered to be one of Ward’s fantasies turned out to have been true. This added a whole new dimension to Ward’s life and the espionage section of the book became a major one. In the course of our interviews, we learnt how the principal characters have come to terms with that traumatic period of their lives, how they have coped – or have failed to cope – with what the scandal did to them. Some have achieved fame and fortune; others have gone under with scarcely a ripple. Some have difficulty even recalling what occurred; others relive it day by day. One continues to live in the same area and to follow the same profession. Another went into exile abroad, disgusted that in Britain Ward could have been treated in the way that he was. When we pulled all these threads together we found that we had an entirely new account of the Profumo affair. It is a story of sexual compulsion, political malice, jealousy, envy and hate. It is a story of friendship, loyalty, honour, betrayal, and the forces of the State bent upon the destruction of one abandoned individual, the only one to leave the scene with dignity. In the end it is our hope that this book says something for Stephen Ward: it may not be too late for the truth. Minister for War, John Profumo, following his resignation. 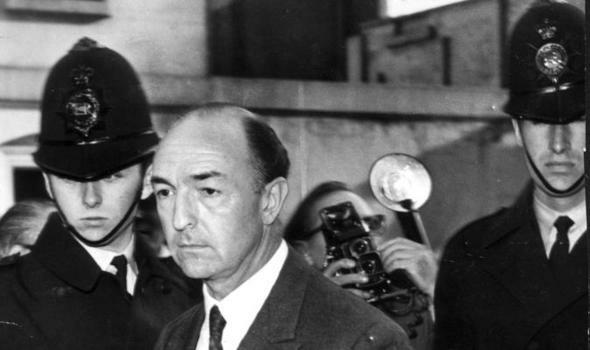 “An Affair of State – The Profumo Case and The Framing of Stephen Ward”. We need you here in the UK to fight the good fight.